About Jack is a great dog! Jack is a devoted well behaved dog looking for a new home. His owners could no longer keep him, and asked us to help find him a new home. He weighs about 21 lbs, is 6 yrs old and neutered. We had Jack fully vaccinated including rabies and microchipped. Jack is a healthy boy, with a sweet endearing personality, but still needs some training. He can be fearful around new dogs, and needs someone who will be patient with him while he builds up his confidence. He's house trained and quiet. He'd love to accompany you on a long walk, or sit quietly by your side as you watch TV or work on the computer. Jack has a lot of potential! 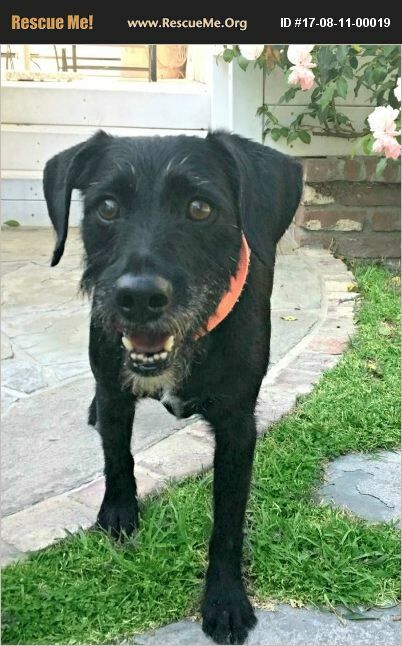 If you'd like to meet Jack, please complete our adoption application found on dexterfoundation.com We're only adopting out to the Southern California area. Adoption donation $250.